Sole advisor to Eastern Condiments Private Limited in the divestment of minority stake to McCormick & Company Inc.
McCormick & Company Inc has entered into a definitive agreement to acquire a 26% equity stake in Eastern Condiments Private Limited, a leading manufacturer and distributor of branded spices in India and the Middle East. The transaction is subject to regulatory approvals, and is expected to be completed in the next quarter. 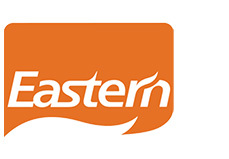 The partnership is expected to help propel Eastern into a leading national brand in the spices segment through on-going support from McCormick. Ritesh Chandra, Executive Director and Head – Consumer for Avendus observed that, ―This transaction reinforces the attractiveness of the Indian value-added foods market and is a testament to its growth and potential. The proposed joint venture will leverage on the complementary skills of both the partners and is likely to lead to significant long term benefits for the company. Avendus Capital was the exclusive financial advisor to the shareholders of Eastern Condiments Private Limited. Eastern Condiments Private Limited is a leader in spices, seasonings and specialty foods with distribution in India as well as selected international markets. McCormick & Company, Incorporated is the global leader in the manufacture, marketing and distribution of spices, seasonings, specialty foods and flavors to the entire food industry - to foodservice and food processing businesses as well as to retail outlets.